When I graduated from Ursuline in 2000, my graduation party featured a life-size picture of me in my tux before senior prom, printed on white paper so family and friends could write a message of support/good luck/inspiration. It’s a fairly common thing, I suppose, for a new graduate to need all the help he can get leaving the nest for the first time. Afterward, not wanting to dispose of these sentiments, I folded this massive piece of paper and stored it in a Rubbermaid container where it sat for years. Sorting through some boxes this past summer, I realized it wasn’t practical to keep it when I needed to make room in those bins for my Lego’s, a Star Trek comic book collection and a stockpile of Air Force unit patches, enough to outfit an entire squadron, that still clogged my old bedroom at my parents’ house. I took one final read of what was written on that large piece of paper. Some comments were witty, others sentimental, and some were just plain stupid (“Never change!” – like that’s even possible). Of everything written, there was one comment that stuck with me. 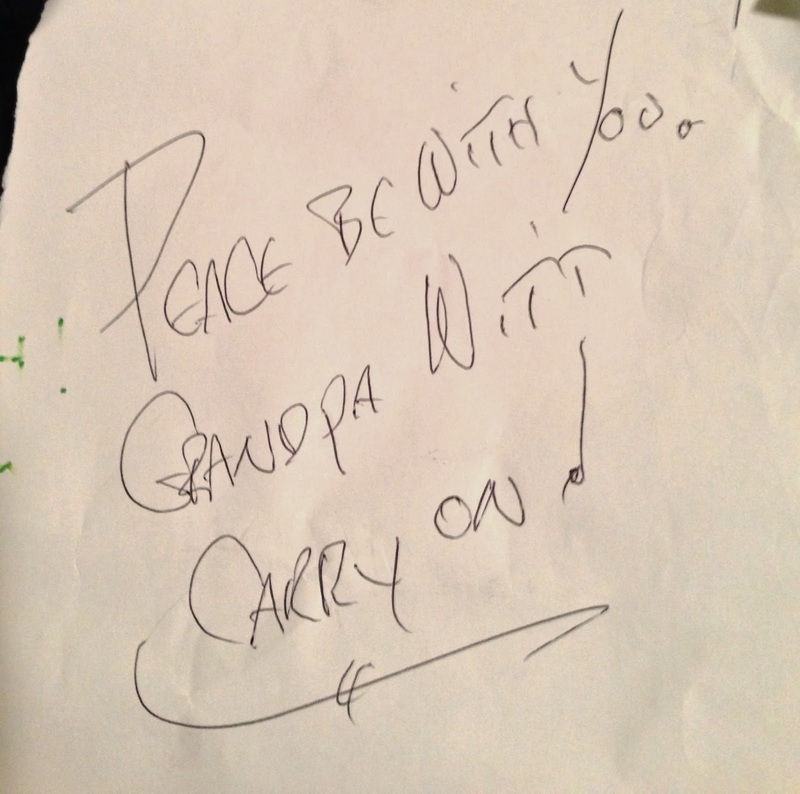 In the top, right corner, my grandpa Howard Witt wrote something so very Howard – “Peace be with you!”. My Grandpa Witt had incredibly strong faith and shared that faith where he could, whether in writing, in his spoken words or in the stained glass crosses he crafted that still grace many homes in Youngstown (and don’t forget The Vatican!). I cut this corner off the rest of the paper and it’s in my scrapbook, a fantastic reminder of an honorable and loving grandfather. 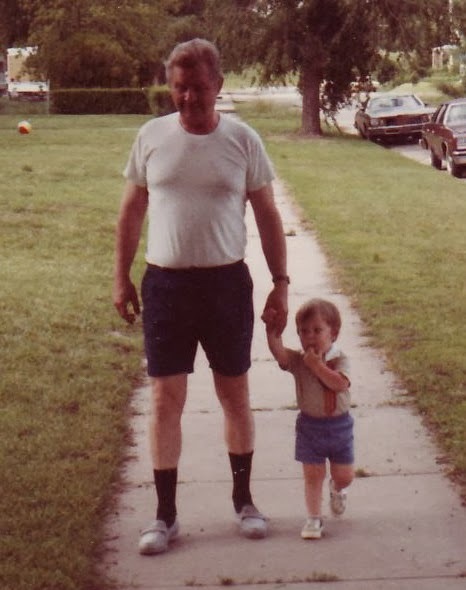 Grandpa Witt and a very young me taking a stroll during a trip to Topeka, Kansas to visit relatives.